Awnings used to be the preserve of greengrocers, cafes and hotel bars. But that is definitely no longer the case! People want more living space. They appreciate the fact that an awning is the perfect way to make their garden more flexible. An awning provides shelter from the elements – be that shade from sun, or a place to hide from a shower. There are options to suit everyone. With different colours, styles and features now on offer, the industry has come a long way! 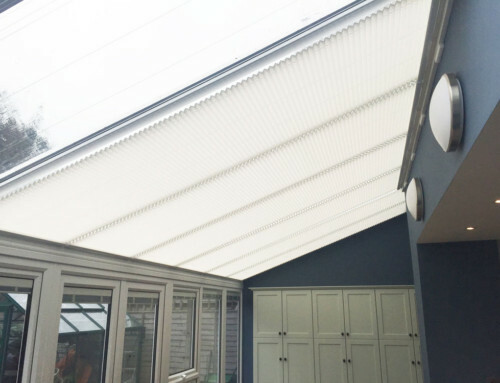 At Turners, we’ve been working hard to make sure our awnings are top quality. We want to be able to satisfy the requirements of any discerning customer. 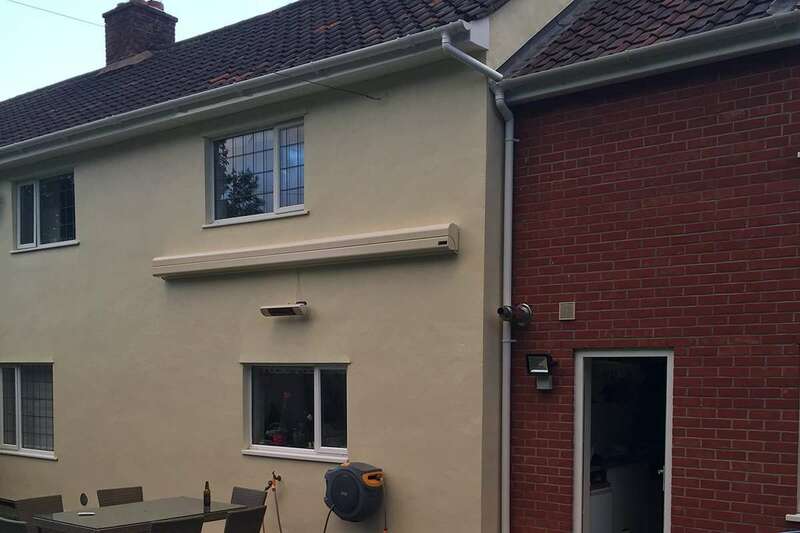 To showcase what we can do, let me introduce you to one of our latest installations. 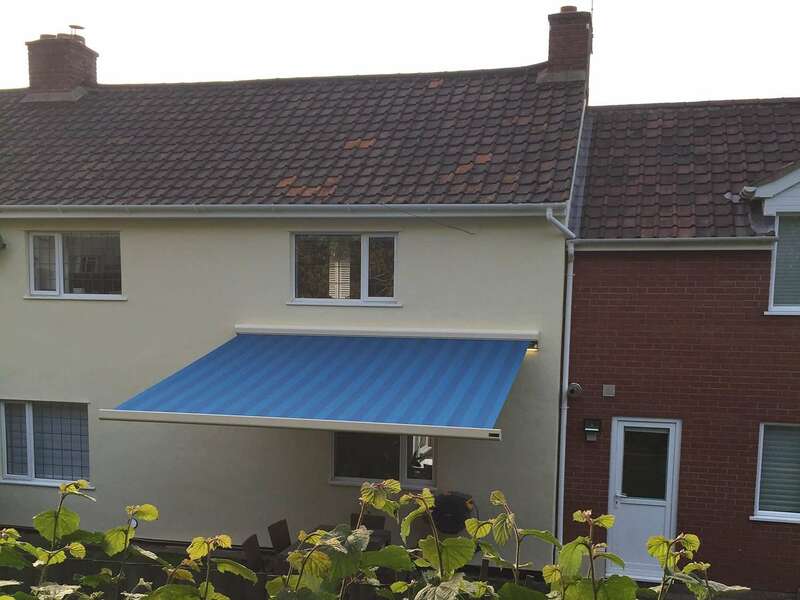 The easiest way to get even more use out of your awning? Fit some lighting and some heating! These simple additions mean you’ll find yourselves sitting under your awning well into the evening. You can now choose the exact colour you want the cassette and brackets for your awning from the RAL colour chart. That means you can colour-match the hardware to your awning fabric, or the adjoining wall. Here, we’ve opted for the latter. When the awning is retracted, you can barely notice it. Magic! 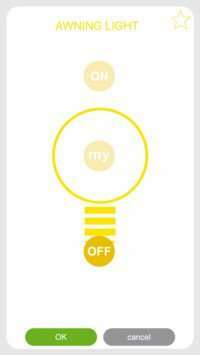 You can control the awning, the lighting and heating using a single remote. No crank handles, or reaching for switches. 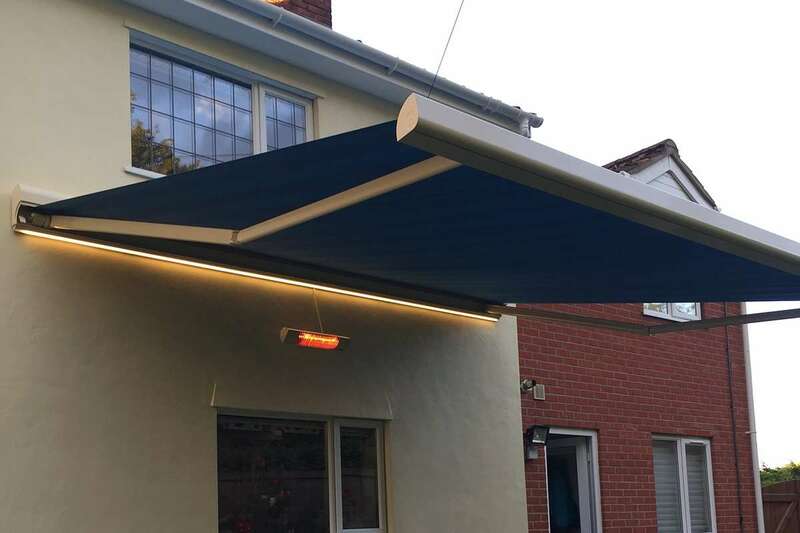 Taking advantage of the latest in innovation, your awning can be integrated with smart home technology systems. 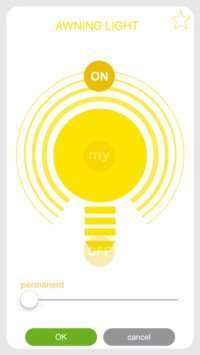 We use a TaHoma hub by Somfy. Once plugged into your broadband router, TaHoma can wirelessly operate any Radio Technology Somfy product in your home. 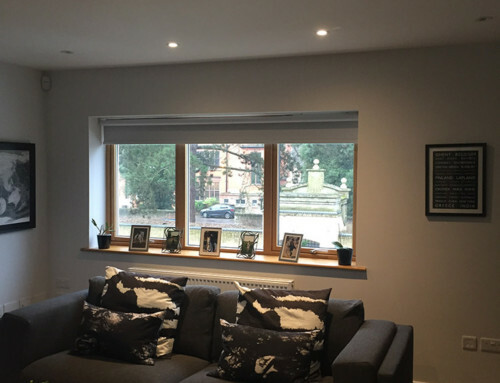 We can integrate your motorised awning, and its lighting and heating, with this system (along with any other motorised blinds we fit in your home!). You can then operate your awning via an app. How’s that for progress?! So you see, the options are vast. We can help walk you through every step to create the perfect awning for your home that will last for years to come.